Welcome to Cowan Family Dentistry, your trusted family dentist in Hillsboro, TX. Dr. Ryan Cowan and his entire team are on a mission to help his patients live healthier, more confident lives through quality dentistry and compassionate care. We use only the most advanced technology to bring our patients the best dental solutions available. We make quality dentistry affordable and convenient for our family, friends, and neighbors in the greater Hillsboro area. We welcome patients of all ages into our dental family with open arms…and a smile! Whether you’re new to the Hillsboro area (welcome!) or you’re just looking for a better dental experience for you and your family, you’ve come to the right place! We offer a comprehensive mix of service for all of your family’s needs. We’ve provided all of the information you need to know for your first visit right here on our website. Feel free to get to know Dr. Cowan and his hygienists, browse our services, explore our financing options, and fill out your New Patient Forms to make your first visit a breeze. At Cowan Family Dentistry, we will help you maximize the use of your insurance benefits, which need to be used each calendar year as they do not roll over at year-end. We are a participating/preferred provider with several insurance plans – please feel free to call or email us about more specific information regarding those plans.Insurance should be used to assist patients with payment for necessary services, not limit them to what can and cannot be done – but we also understand the financial hardship making dental care a priority can present. We also believe that quality dental care should be accessible to everyone. The skilled and compassionate Cowan Family Dentistry staff combines strategic treatment planning, maximizing any insurance benefits, and the addition of flexible financing options as necessary to offer our patients the most affordable options possible. We can come up with a payment plan that works for any budget. We also accept cash, personal checks, and most major credit cards. Proceed Finance offers financing to bridge the gap between healthcare services and the overall affordability of those services. Our convenient online payment calculator can estimate interest rates and repayment terms that last up to 96 months. 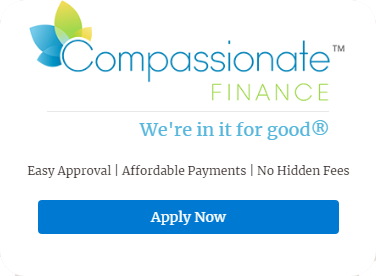 Once you choose Proceed Finance, the application process is straightforward. We work with your budget to find manageable monthly payments that fit your healthcare costs. We want to help you invest in you! If you have any questions about our practice or would like to schedule a consultation with your Hillsboro dentist, Dr. Ryan Cowan at Cowan Family Dentistry, give us a call today at (254) 582-9555 or schedule a visit online!